Here are some of the content that this highly anticipated book entails: Vince Gironda's Pro Series Volume 1-6, Vince Gironda's Master Series Volume 1-12, Vince's 12 Week Definition Course, How Vince Trained Stars Program, A Muscle Has Four Sides, Vince's 6 Week Bulk Course, Nutrition Plans, The Secrets Techniques for Building Muscle, Daryl's Own Successful Workout Programs, Daryl Conant's Video Library of the Actual Exercise Movements (DVD), AND MUCH MORE!!! The Secrets to Fat Loss. Introducing Daryl’s NEWEST E-Book “The Secrets to Fat Loss.” Over 27 years Daryl has researched and experimented with many different fat loss programs and products. Now for the FIRST time ever Daryl is sharing his secrets to keeping unwanted fat off the body. In The Secrets to Fat Loss E-Book you will find 30 SECRETS that will ignite your fat burning potential. What are you waiting for? Order this MUST have E-BOOK today! "Daryl Conant was an outstanding mentor to me not only in getting my career in strength and conditioning started,but in getting my body and mind in the right place when I had exhausted pretty much all my other options for doing so. His experience, passion, education, and insatiable desire to help others makes him an outstanding resource to me to this day." "Daryl Conant's has a firm grasp of the biomechanics and kinesiology of the golf swing. His golf conditioning program is exceptional in getting golfers in better physical condition. I trust in his ability wholeheartedly and would recommend him to anyone seeking to improve their physical aspect of their golf game." "Daryl's knowledge in strength and conditioning is vast. His ability to adapt to the athletes strength and weakness and to make them faster, and stronger is Daryl's asset. I would highly recommend Daryl's 3D Sports Conditioning to any athlete at any age and level." Defensive Coach-- Texas Tech Former defensive coach for the; Miami Hurricanes, Ole Miss, Auburn University, Clemson Tigers and the NFL. "Daryl was a great asset in the development and conditioning of Olympic hopefuls during the 1994 and 1996 Olympic seasons." "Daryl has been a friend of mine for over 25 years. His knowledge and understanding of Vince Gironda's exercise are exceptional. 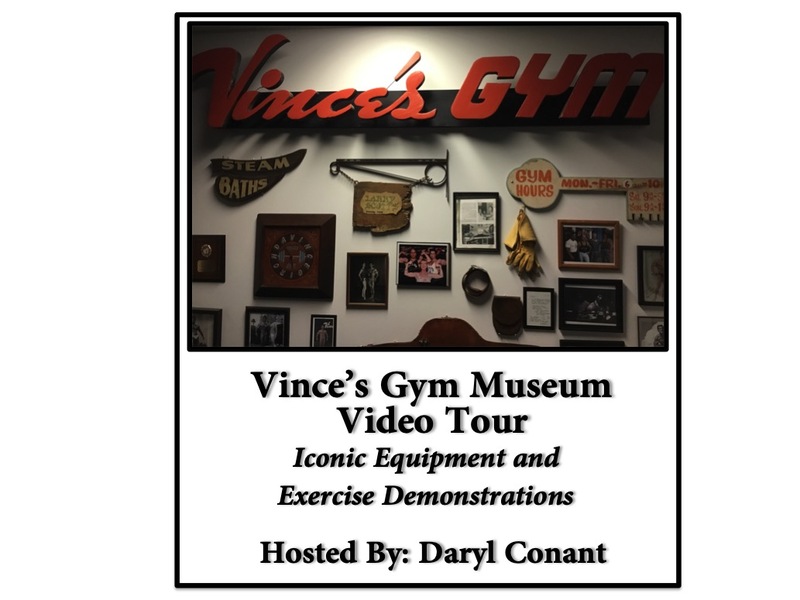 He has devoted his life in preserving the memory and techniques of Vince's programs.I would recommend Daryl to anyone seeking to learn more about the Iron Guru's methods."